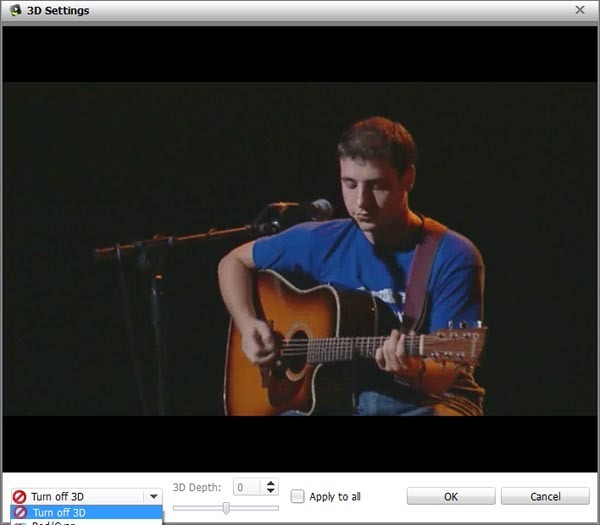 ImElfin Video Converter is a powerful video converter for All Win systems to help you convert videos and extract audios, you can easily use it to download and convert wonderful web videos like YouTube etc to Apple devices and more for other devices. ImElfin Video Converter is a powerful video converter for All Win systems to help you convert videos and extract audios, you can easily use it to download and convert wonderful web videos like YouTube etc to Apple devices and more for other mainstream Multimedia players such as HTC, BlackBerry, PSP, Xbox 360, PS3, etc. More important, it especially edits the Multimedia protected by DRM protection that is produced by current media merchants to restrict customers' editing. This wonderful tool also has a concise and friendly interface which enables you to easily and swiftly operate it. You can use it to convert 2D movies to 3D that including 6 different options, the conversion speed is 30X faster than another programs. The good thing about picking a format is that ImElfin Video Converter has all of the options nicely arranged by both format and device compatibility, which makes it easier to choose. It also allows you to customize formats for your own specifications. 1). 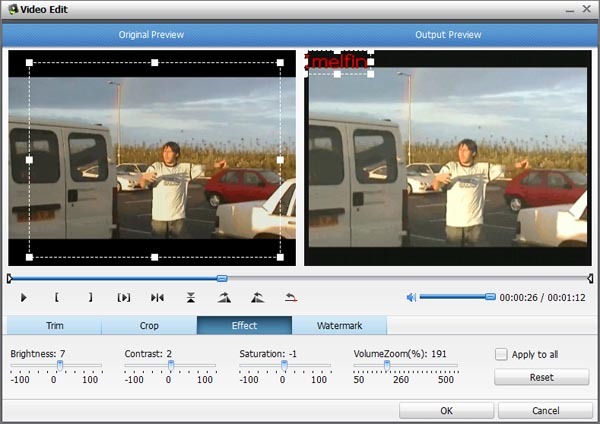 Convert any videos to common popular formats like AVI, MP4, MPEG, RMVB, MKV, WMV,etc. 2). Converter any audios to high quality formats such as WAV, WMA, MKA, AAC, MP3,etc. 3). 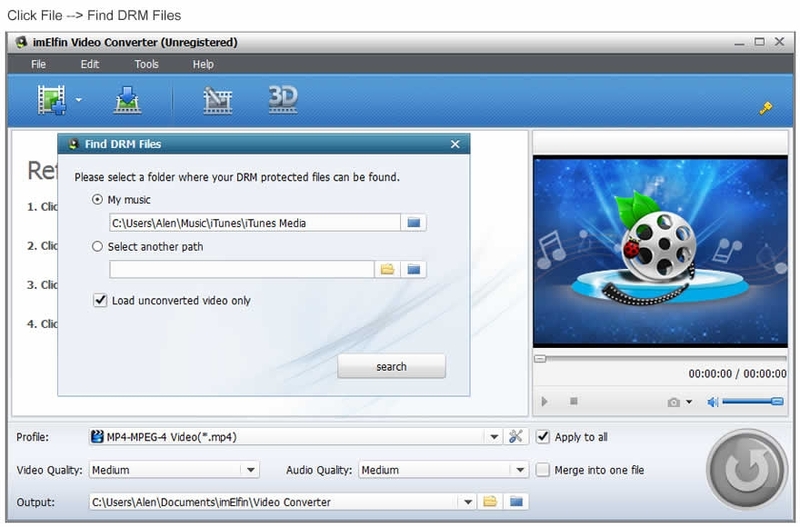 Batch conversion; You need not to convert your Multimedia including videos and audios one by one, using ImElfin Video Converter, you can edit as many Multimedia files as you want, then transfer the output video and audio files to your desire media players at one time. This will save much of your time. ™ technology means conversion speed is 30X faster than before. So, enjoy your media performance. s but also has the ability of converting 2D movies to 3D.